In this post we will see how can we sort a Map based on its values. We will use Comparators. Above comparator imposes orderings that are inconsistent with equals. Do not return 0 from the comparator as it will merge the keys. Given that all keys in a Map are unique. Duplicate key entry over writes the old entry. If you have your own class instead of Integer in the map then it makes sense for your class to implement comparable interface and use compareTo() directly in compare() method. Collection APIs provide sort method that takes comparator as an argument. You can use that for the sorting criteria that suits your requirement. 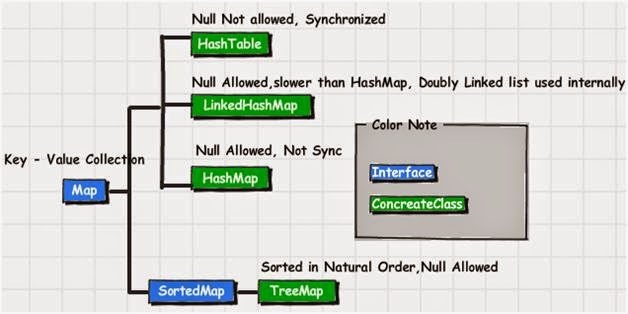 To summarize if you want to sort objects based on natural order then use Comparable in Java and if you want to sort on some other attribute of object then use Comparator in Java. This will sort your HashMap. How to use Comparator and Comparable in Java?